Reading Shakespeare’s plays aloud offers not only a communal way to enjoy these great works but also promotes a deeper understanding of Shakespeare’s poetry and wordplay. No acting experience is required to participate — just bring a copy of the play we’re reading…and your voice! 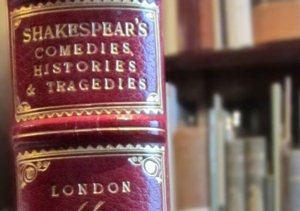 This event is completely free with advance registration; visit https://rosenbach.org/events/shakespeare-free-read-aloud-group-much-ado/.